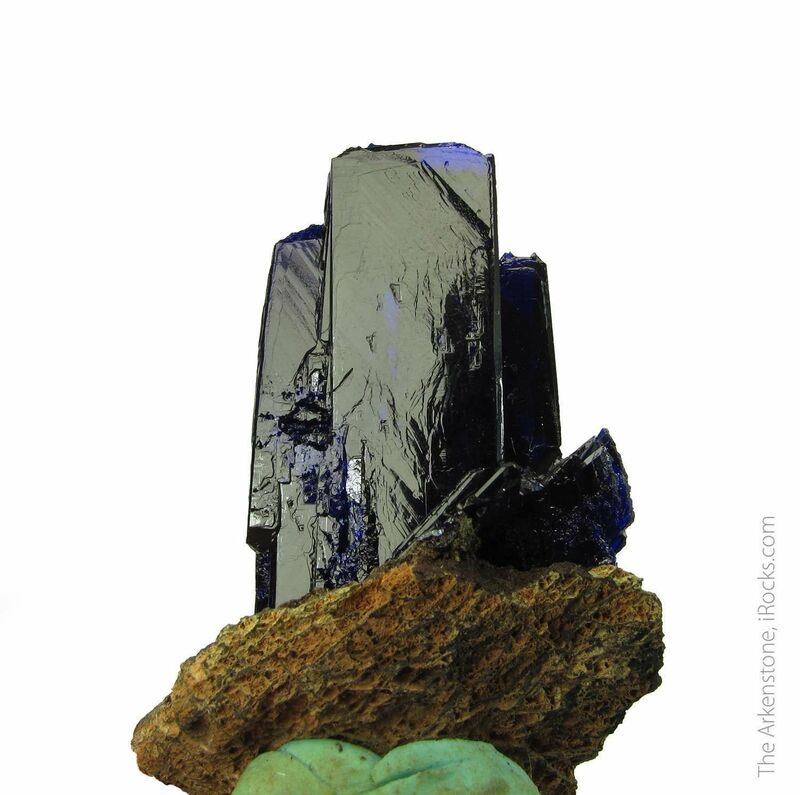 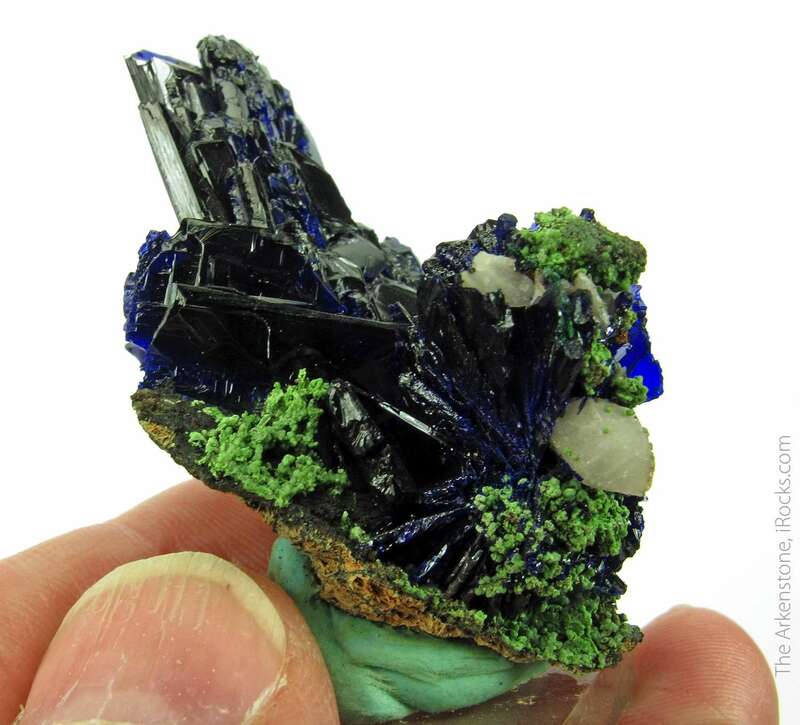 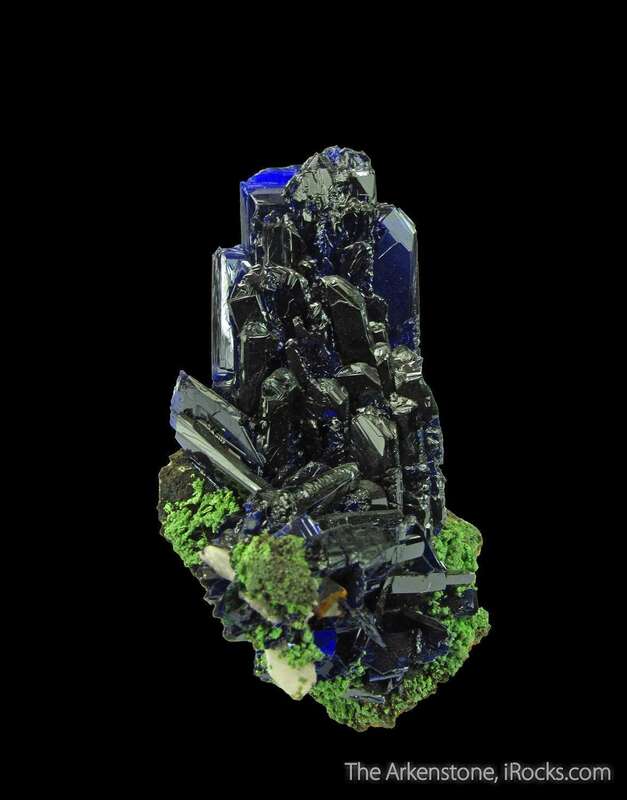 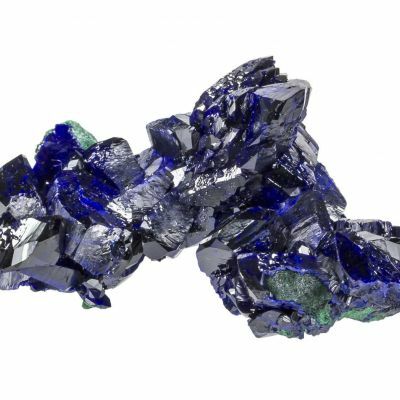 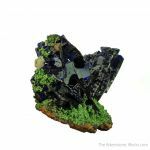 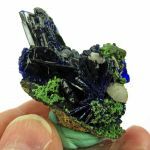 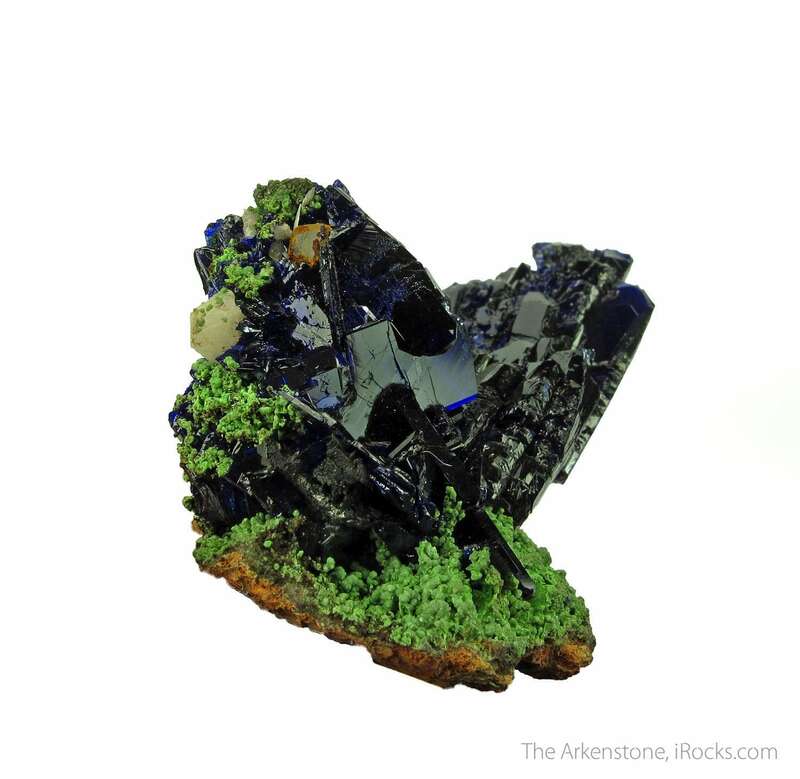 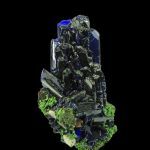 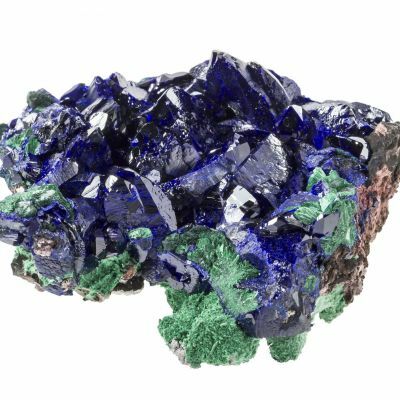 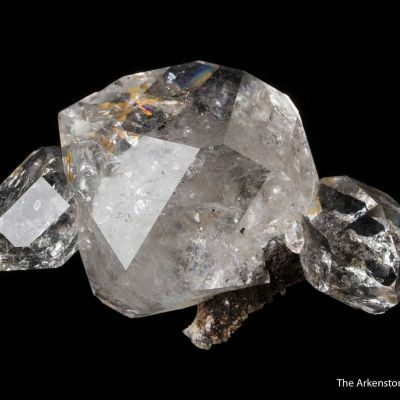 Beautiful cluster of bladed Azurite, in combination with Quartz (unusual for Tsumeb), and excellent green Mottramite. 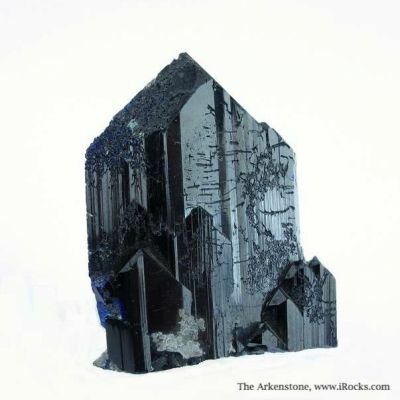 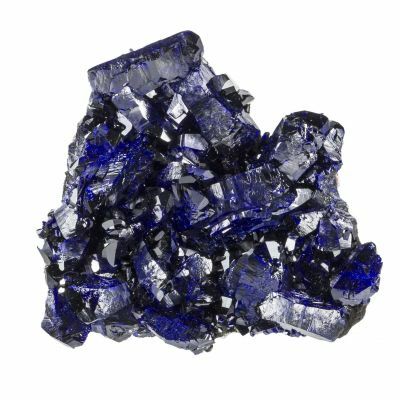 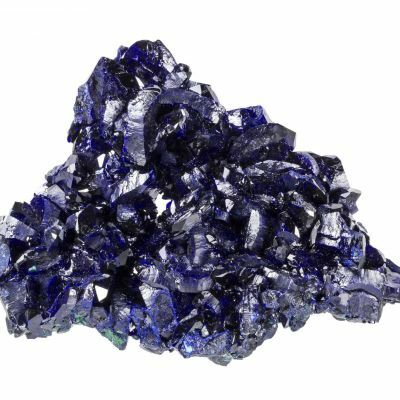 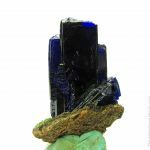 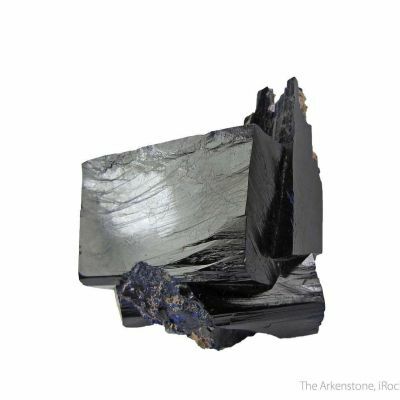 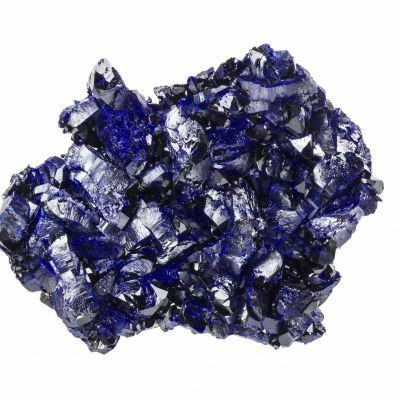 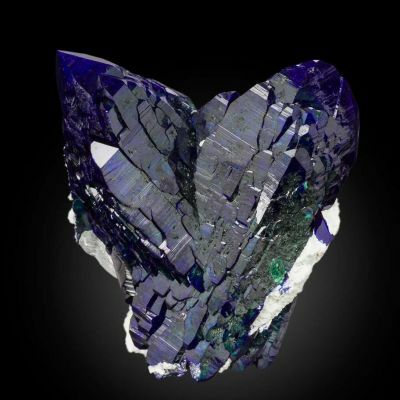 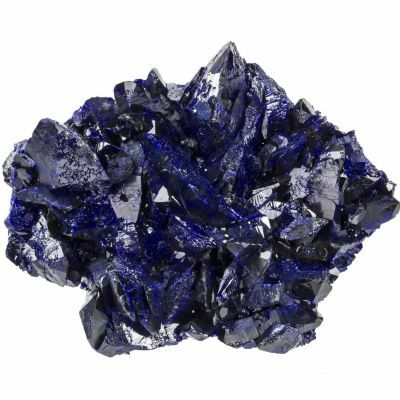 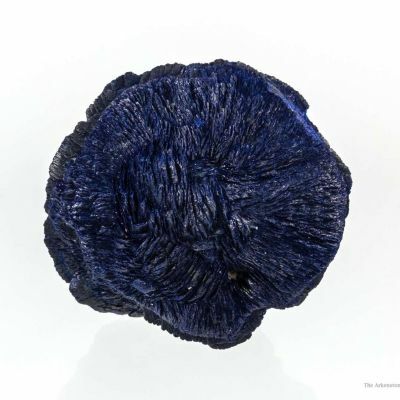 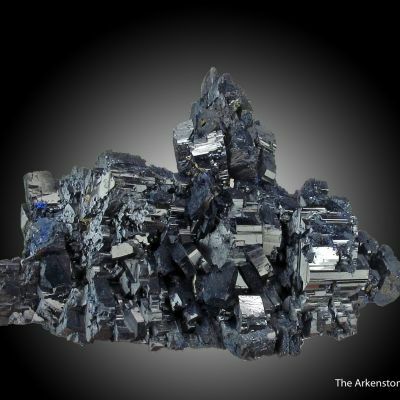 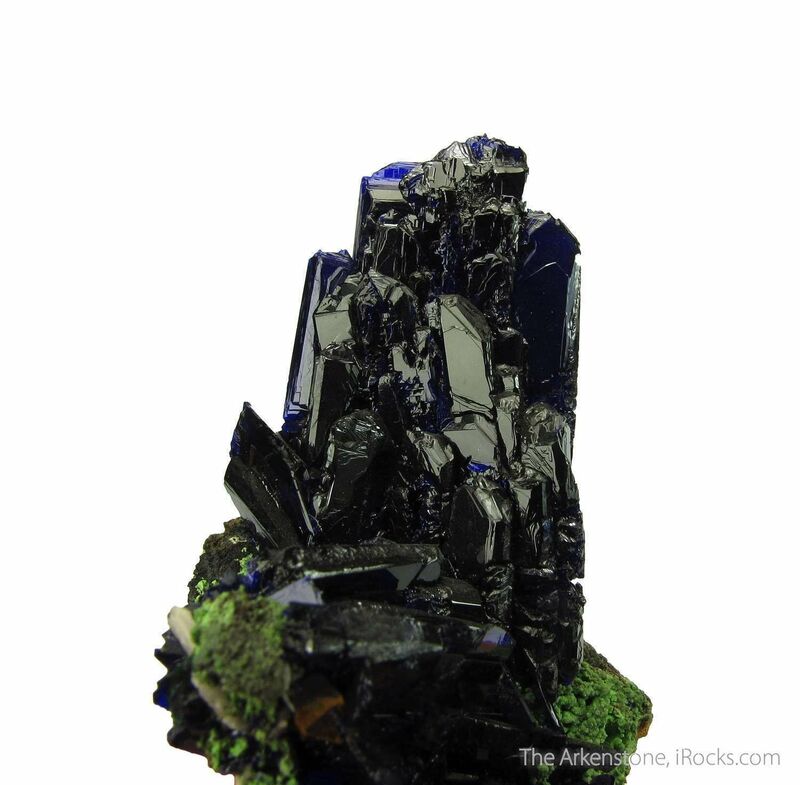 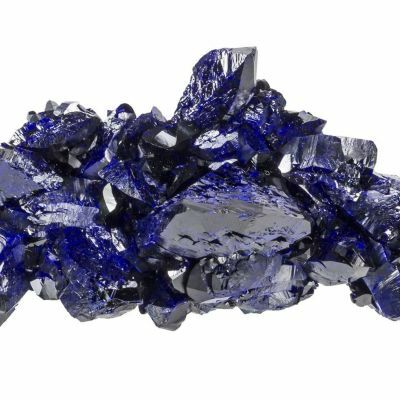 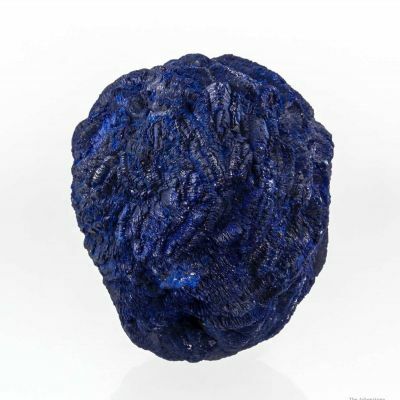 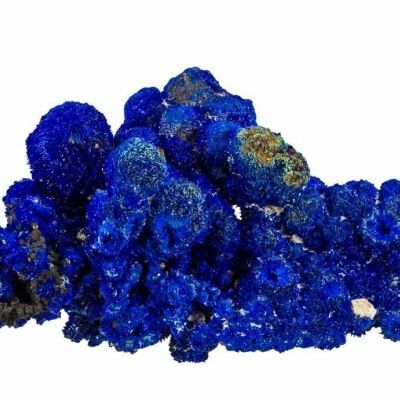 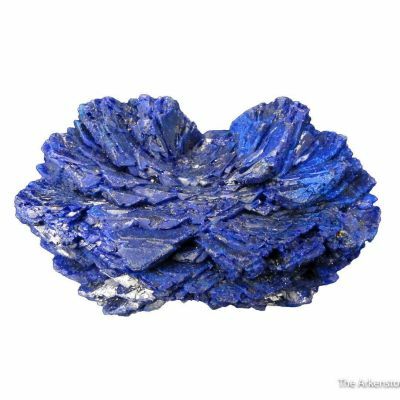 The Azurite, certainly one of Tsumeb's most desirable minerals, has superb luster and equally great color and light transmission. 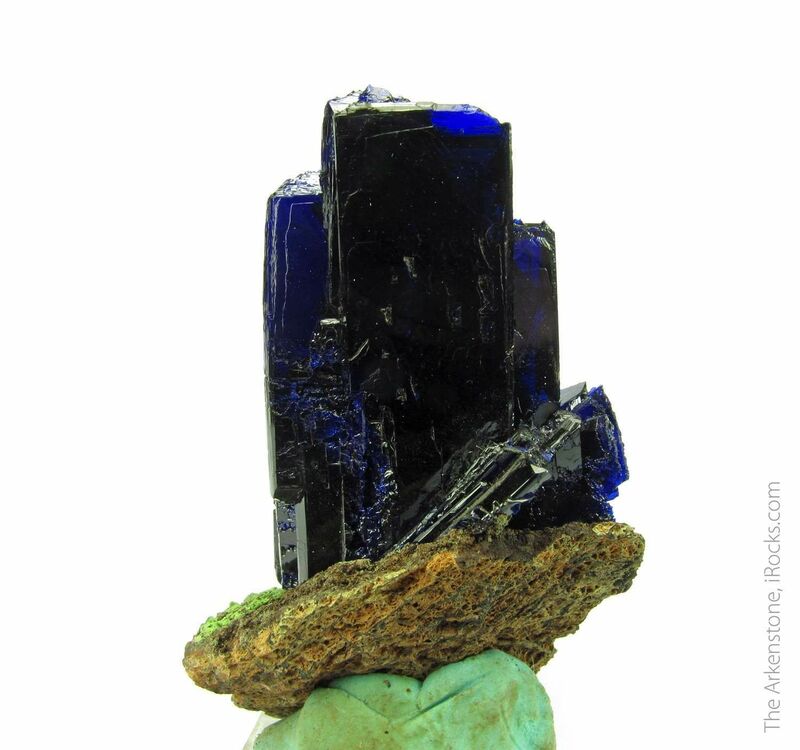 Better than you normally see, for sure. 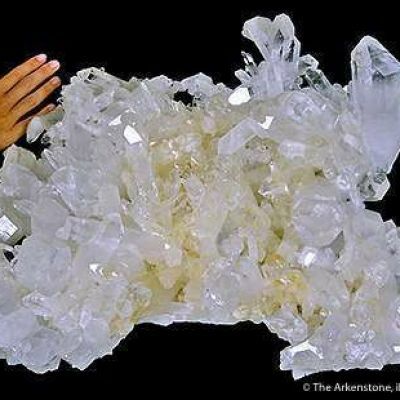 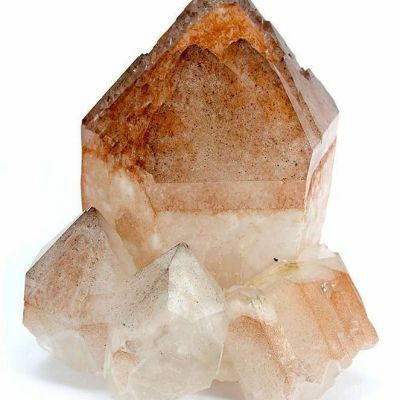 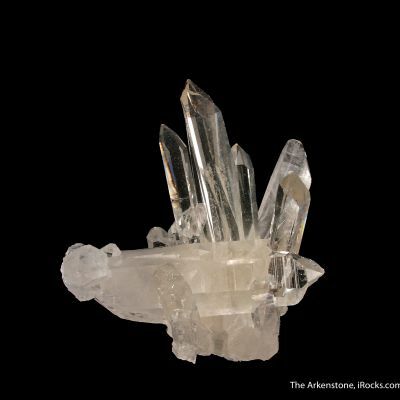 The largest blade is 3.9 cm tall, which is a significant size. 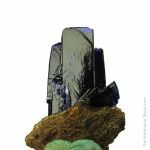 As you often see on the Azurites, there is a little bit of edge wear, but it really has little effect on the overall aesthetics, which are excellent. 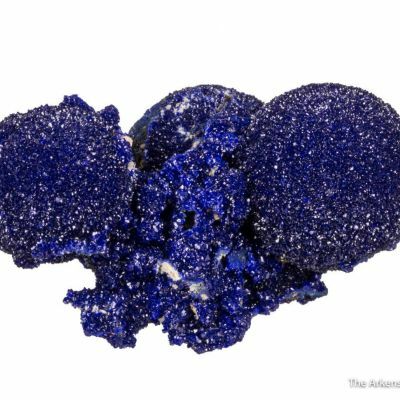 The pics tell the story pretty well here.